Sam M. Nourani M.S., M.D. As an interventional gastroenterologist, I’m sort of a bridge between a traditional gastroenterologist and a surgeon. We can perform procedures endoscopically, which limits the need for days of recovery. Sam M. Nourani, M.S., M.D. has a thirst for knowledge. He has been involved in some form of higher education (learning, teaching, researching or mentoring) for the past 25 years. 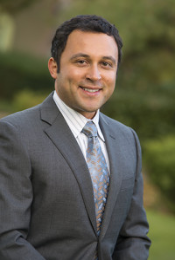 His focus in the practice is for all aspects of interventional procedures; cancer staging, cancer resection, control of complicated bleeding, and advanced pancreatic and biliary procedures. He strives to be as minimally invasive as possible with his advanced procedures which in turn translates to faster recovery times while aiming to maintain maximum positive outcomes.